Gesine Schwan, born in Berlin in 1943, comes from a socially active parent’s house belonging to protestant and socialistic opposition groups during the Nazism and standing up for the friendship with France and Poland after the war. After her A-Levels in 1962, she studies Roman Languages, History, Philosophy and Political Science in Berlin and Freiburg/Breisgau. Research stays in Warsaw and Krakow for preparing the dissertation about the Polish philosopher Leszek Kolakowski follow. In 1971, Gesine Schwan becomes Assistant Professor in the Department of Political Science at the Free University Berlin and habilitates on the philosophical and economical bases of the social critique of Karl Marx in 1975. In 1977, Gesine Schwan becomes professor of Political Science, in particular of Political Theory and Philosophy, at the Free University Berlin. Research stays in Washington D.C., Cambridge and New York follow. Her main fields of research are Political Philosophy and Theories of Democracy, recently also problems of Political Psychology and Political Culture. From October 1999 to October 2008 Gesine Schwan was president of the Europe University Viadrina in Frankfurt (Oder). She is one of the joint founders and president (since June 2010) of the HUMBOLDT-VIADRINA School of Governance. At request of Foreign Minister Joschka Fischer she assumed the office of the Co-ordinator of the Federal Government for civil social cooperation near to the Republic of Poland from January 2005 to September 2009. From 2002 to 2009 she was Co-Chairwomen of the German-Polish Forum and since 2002 she is Member of the Board of Trustees of the German Institute of Poland (Deutsches Polen-Institut). 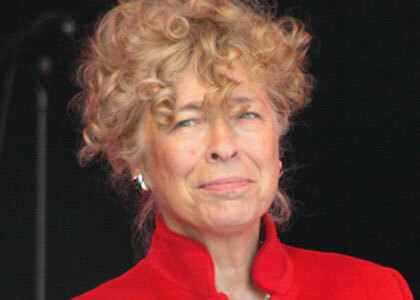 Gesine Schwan, who joined the Social Democratic Party of Germany (SPD) in 1972, has collaborated in numerous political committees besides her scientific career. From 1977 to 1984 and again since 1996, she is member of the “Commission for Fundamental Values” of the board of governors of SPD, from 1985 to 1987 president of the German Association of Political Science, between 1993 and 1995 dean of the Department of Political Science at the Free University Berlin and between 1994 and 2000 member of the board of governors of the German Association of Political Science (DVPW). In March 2004 and in May 2008, she is nominated by SPD and Bündnis 90/Die Grünen as candidate for the office of the Federal President. At the elections on 23rd May 2004 and on 23rd May 2009 she is defeated by Horst Köhler, the candidate of CDU/CSU and FDP. Both times it was a close defeat.